Who Will Free The Cursed Soul Trapped Inside This Matt Stafford Statue? 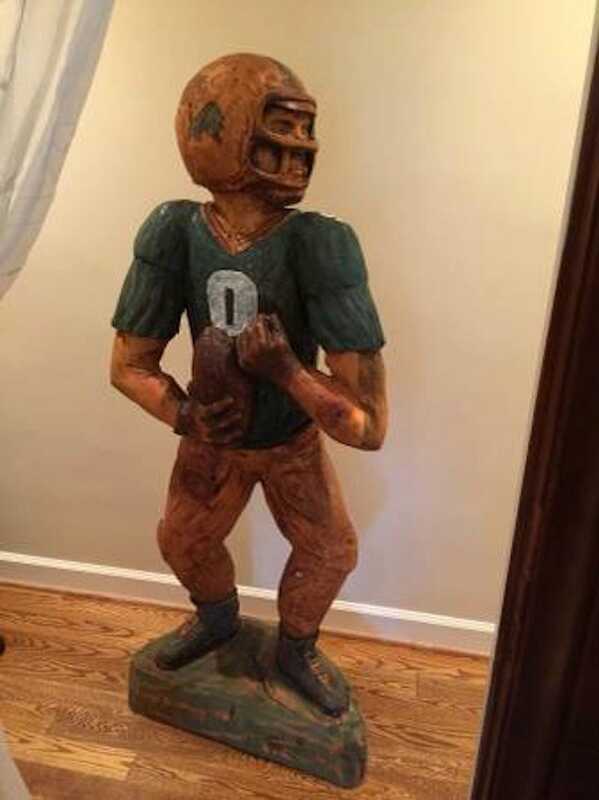 This custom-made, 62-inch wooden statue of Lions quarterback Matthew Stafford is currently on sale for $1,500. It is imperative that someone out there buy it and destroy it, so that the curse binding a tortured soul to it for all eternity can be broken. How do I know this statue is cursed? Lean in close enough to that photo, and you’ll hear the faintest whisper.... Killll Me.